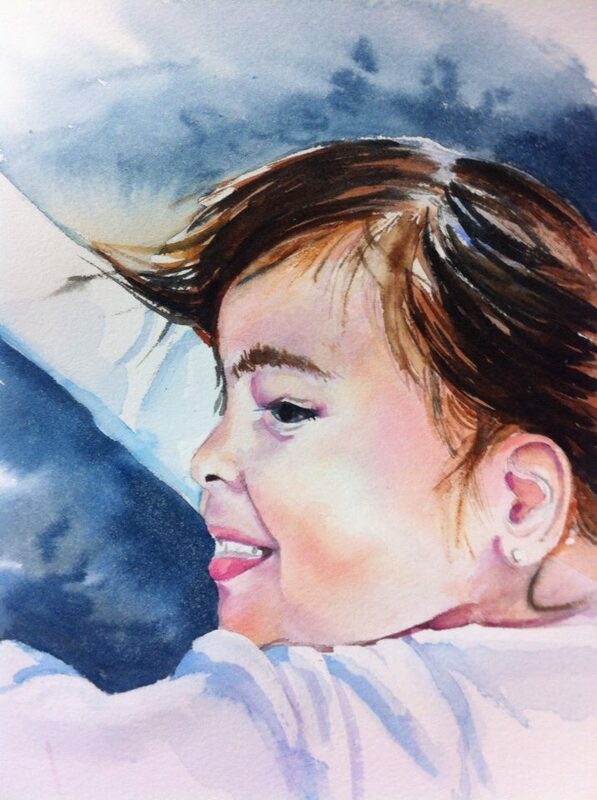 I finally took the plunge and completed a small watercolor portrait of my oldest daughter Valeria Sofia. I made the painting by glazing very light washes on top of each other using the following colors primarily: Quinacridone Rose, Mars Yellow and Ultramarine Blue. The hair uses Quinacridone Burnt Orange mixed with Indigo and the background is mostly Indigo. I wish I had gone a little darker with the hair and skintones but too "chicken" at this stage. I think overall it captures her personality and facial features. I'm so excited and can't wait to try a larger portrait of her and my youngest too.